Analysis: Teachers on KCK school board quizzing administration, and getting backlash – Welcome to Wyandotte Daily! It’s not easy being a Kansas City, Kansas, school board member. 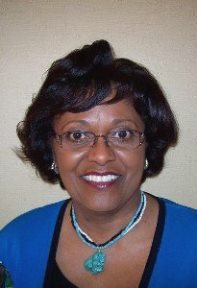 On Friday, school board member Wanda Brownlee Paige went to police to tell them about a possibly threatening message saying she had until Wednesday, June 20, to step down from her role on the school board. Otherwise the person who sent the message stated that he would blast out information to the authorities and media that she was ineligible because she received a salary from the school district. Only, she’s not ineligible, she doesn’t receive a salary, she’s a retired teacher, just like the late Gloria Willis, a retired teacher and administrator who was on the board for many years, according to the school board’s vice chairman. It is OK for retirees to serve on the board and receive their pensions, board members said. Paige doesn’t receive a salary from the district, she didn’t step down and the man blasted out a message on social media. Paige found out from police that there were about 300 people with the same name as the man who sent the message, and because she couldn’t identify him, they couldn’t do much except take down her information. But they advised her to let people know about it at a board meeting. “They’re just making up stuff, they don’t want me to vote for the superintendent,” Paige said about the message incident. 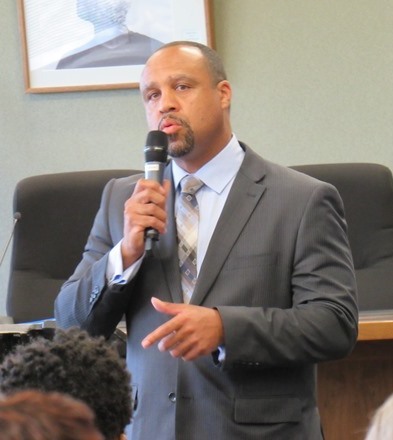 It’s not been easy for the new members of the KCK school board who took office in January. The board now is in the process of naming a new superintendent, with the retirement of Superintendent Cindy Lane this year. The new superintendent is expected to be named sometime this week, a district spokesman said at a superintendent candidate meet-and-greet session last week. The board will meet on Tuesday, Jan. 26. Another event that may affect the board soon will be the decision of the Kansas Supreme Court on school finance. There have been reports of friction between the board and administration since February. A rather mysterious anonymous group, Effective KCK School Board, was started without naming the individuals behind it on social media posts, although a few persons have now come forward to make public statements under their own names. Among the group’s criticisms are that the board is micro-managing the district, trying to do the administration’s job, instead of just sticking to policy, and that the board was asking so many questions that it was delaying projects that were in process. At the June 16 listening session, Ramon Murguia said he was making sure that the board understood its role with the Latino community. He compared the school board of his youth to the present school board. “Then, there were no Latinos on the school board. Now, there are no Latinos on the school board. Then, we were 10 percent of the population; now we’re almost 50 percent,” he said. The board’s duty is to all the children in the school district, he said. Teachers need to bring a desire and passion to help the students learn, besides having the cultural skills, he said. He added he wanted to maintain a high level of professionalism and ethical comportment. It’s not about providing jobs for people because of their race and ethnic backgrounds, he said, it has to be about the job. Dr. Valdenia Winn, board vice chairman, said they were very serious about quality teaching. It’s a multitude of factors, including conditions students face that may be obstacles to learning, she added. Murguia said those urban districts that are successful have good school leadership, committed teachers and a board that is supportive of the effort. It is incumbent to operate as one team, he said. When the board discussed its efforts to get more diversity among teachers, and said it pushed the administration to have a consultant do a review, Murguia replied that they need to make sure they don’t overstep their boundaries as board members and step into the role as administrators. “We didn’t cross the line,” Dr. Winn said. Back in February, board member Janey Humphries made a statement at a board meeting. Humphries, serving on the board since April 2017, stated that her experience over the past few years on the board was that the staff willingly provides details of their work when asked. In her statement, she discussed the new board’s approval in January of a second appraisal on property the school district was buying near 88th and Waverly for a new school. She was contacted by patrons about it. “People are confused and worried by the lack of public discussion about the need for a second appraisal, why the appraiser added by Ms. Winn was chosen without public discussion, and what – if any – qualifications were used to decide on this,” she wrote in her February statement. Board members tried to contact the second appraiser, but could not reach them, she wrote. “We are tasked to set policy and vision and to hire a superintendent … not to ‘manage’ or act as administrator of the district, but as a board of directors establishing policy, setting a vision and direction for our schools and monitoring the progress towards the goals we set,” she wrote. “It is the job of the superintendent as chief executive officer of the school district to administer and manage the district. They and their staff, both USD 500 employees and contractors, take the policies and vision of the board and make the details happen. “It is very difficult for a project to survive being micro-managed and having things constantly second guessed and changed by the board,” Humphries wrote in February. Some other board members, however, feel they need to know the information since they are being held accountable for whatever the district does. For many years, the school district has had a strong superintendent model of government. Now, observers are wondering if that could be changing to a strong board. Or is it just a matter of the board’s approach and the administration’s response or resistance to change? One staff member on June 16 asked the board if possibly they could challenge the administrators more in private and praise them more in public. The four new members of the board include two retired teachers from the district, a consultant with a doctorate in business, and an advocate for individuals with disabilities who has a degree in accounting and business administration. The retired teachers have master’s degrees in education and at least 30 years each of teaching experience here. The board wants to improve academic scores, and it wants more data so it can tell exactly where the needs are, according to Paige. 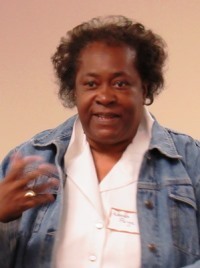 On June 16, at a public listening tour, Paige responded to some of the criticism. In some ways the district has been stagnant and in other ways, progressive, she said. “There are ways always to improve,” Dr. Winn said at the June 16 meeting. “Our administration and our board have been looking for ways to improve. As a state board asked us to assess our curriculum and our delivery and our student achievement, that is the spirit of improvement that we discussed, and we are looking forward and so are the administrators, some of the administrators, in looking at a job description example. “Everyone is looking to be accountable to the taxpayers, be accountable to the students and be accountable to the employees and to move forward,” she said. Dr. Winn at the June 16 meeting mentioned that the board earlier was asking about district expenses for snacks and an expenditure at Hy-Vee. Paige said that she understood it was sometimes necessary to provide food for events in the district, but she just wanted to make sure that the district was doing it right. They might not want to have food at every event meeting, she said. She said the district has master-level staff being paid in the $30,000 to $40,000 range, and bachelor’s degree level staff being paid $70,000. “It is unfair to look at the data and do nothing,” she said. The board is asking for a proper analysis to be done to save money in the long run, she said. “We have to pay for the quality we expect,” she said. The decisions they are making today will affect their own children in the district in the future, she said. Dr. Yeager was the board member who pushed for the board meetings to be aired on YouTube. 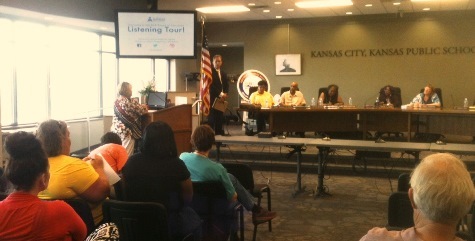 (The listening tour is at https://www.youtube.com/watch?v=uumyEkLlZAo) Dr. Winn said that the listening tours the board is holding are allowing the board to hear the concerns of the patrons. “I firmly believe in transparency and having access,” Dr. Yeager said. Harold Brown, board member, at the June 16 meeting said the audit will provide some documentation about concerns. “As a board member, we have a responsibility to be good financial stewards,” Brown said. The board is not getting the right kind of reporting data to make decisions, he said. Once they have that data, they are in a better position to make prudent decisions, he added. Dr. Winn, a college professor and state legislator who has been on the school board for three years, said there was an outcry when she made comments about student scores. She was told that the board had never asked administrators any questions in the past. Dr. Winn, who attended district schools and serves on education committees in the state Legislature, said she has always been concerned about taxpayer dollars and expenditures. And student scores have always been her issue, she said. Should the district provide information earlier to the board members for their review? That is similar to a question occasionally asked at the Unified Government meetings by UG commissioners, who do not like receiving information at the last minute, without time to read it in advance. Usually they receive information several days in advance, but if not, occasionally they will delay a decision in order to have enough time to review information submitted at the last minute. They also occasionally request additional information. 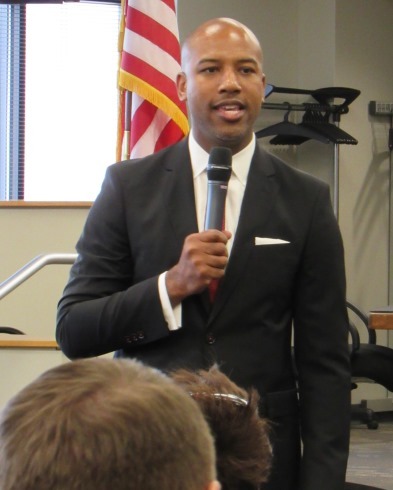 A very popular local candidate for superintendent, Dr. Jayson Strickland, and an outside superintendent candidate, Dr. Charles Foust, currently working in North Carolina, were asked how they would work together with the board at recent meet-and-greet sessions. Dr. Strickland was confident he could work well with the board. While Dr. Foust received applause for his remarks, Dr. Strickland received a standing ovation from the audience at his meet-and-greet session. Dr. Foust said he had studied the district, and suggested that he might just schedule some committee meetings with the board members in advance of the regular meetings, so that information and issues could be explained in detail. Dr. Foust has drawn comments from the Effective KCK School Board group because he said he would not move his family here, which they interpret as him not staying here for long. Dr. Foust was very confident about being able to improve the district’s academic performance. Dr. Strickland also was in favor of improving students’ academic performance. As for community members getting their information to the board, Paige says that members of the public are welcome to express themselves at the listening tours and people can always run for office in the future. There is no need for threats. Some past KCK school board meetings are at www.YouTube.com/KCKPSTV. The June 16 Listening Tour meeting is at https://www.youtube.com/watch?v=uumyEkLlZAo. The Effective KCK School Board website is at https://www.effectivekckschoolboard.com. Janie Humphreys’ entire statement from a February meeting is at https://www.boarddocs.com/ks/kckps/Board.nsf/files/AVQL6R54264E/$file/Comment%20by%20Board%20member%20Janey%20Humphries.pdf.